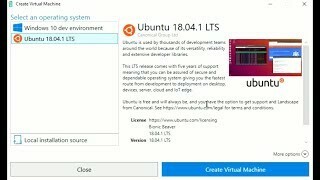 Getting Ubuntu running on Hyper-V with Enhanced Session Mode wasn't quite an out-of-the-box success. 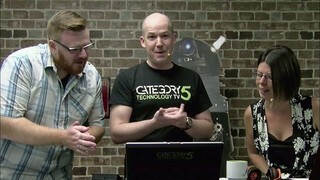 But this week we follow up to our previous failure and show you what we needed to do to get it working. Sometimes a deal is just too good to be true! 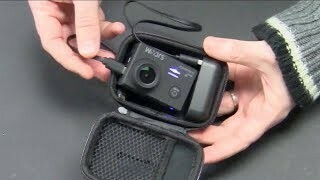 But when using an SD card in your camera, phone, video camera or other digital device, the data you capture and store is priceless. 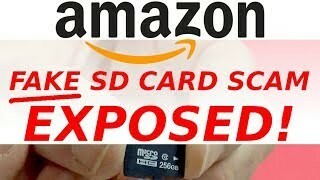 We'll prove in this video that Amazon is allowing FAKE SD Cards to be sold through their web site, and the sad thing about it is thousands of people fall for it, and lose their data. 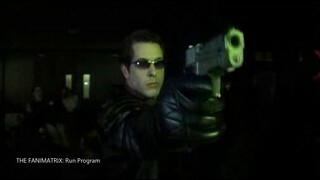 Don't be one of the victims: Watch and share this video! 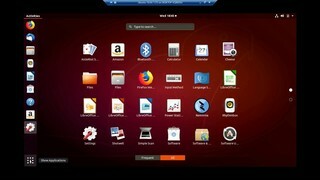 Looking for a sleek out-of-the-box Linux distro based on Debian Stretch? 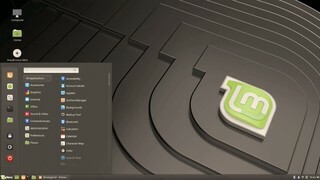 LMDE 3 "Cindy" from the Linux Mint team brings Linux Mint away from an Ubuntu base and moves it over to Debian! 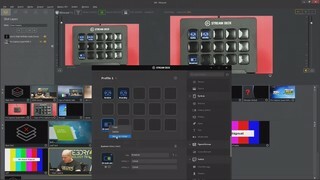 Atomos makes mind-bendingly amazing video recorders, and the Ninja Flame records ProRes 4:2:2 video up to 4k30! Before we can start doing reviews, we need to open the box, so let's get started. 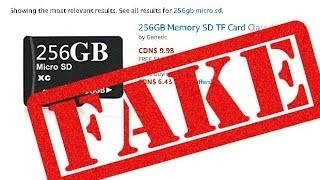 A "fake" SD card can be a vicious beast: you buy it thinking it's so cheap that it's worth the risk, and it works, so you start using it... only to lose all your data. Let's talk about some of the red flags we can watch for as smart consumers shopping online. When moving documents from a Windows machine to Linux, sometimes fonts will be missing. 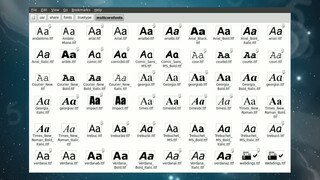 By installing Microsoft's fonts on Linux, some of the most common fonts will be installed: Andale Mono, Arial Black, Arial, Comic Sans MS, Courier New, Georgia, Impact, Times New Roman, Trebuchet, Verdana and Webdings. Downloading retro games is a bit of a grey area for now. 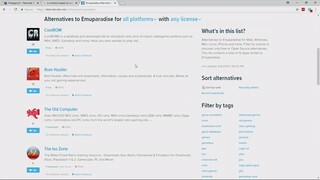 Abandonware and software preservation all play into it - but when the creators -- like Nintendo -- want to put a stop to it and even cause Emuparadise to shut down, is there somewhere else to "safely" get those games from the days of old before they're gone for good? 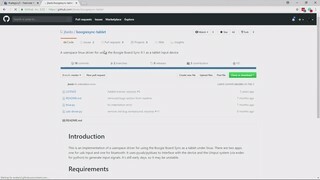 The Boogie Board Sync will work on Linux, which means it works on Raspberry Pi (which is generally powered by a Linux OS). For general use, it shows up as a USB storage device, giving you access to the saved files. 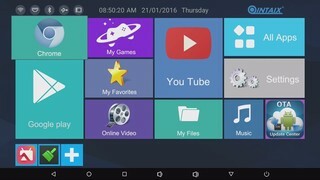 With a little fandangling of third-party drivers, it can even be used as a tablet over USB or Bluetooth. 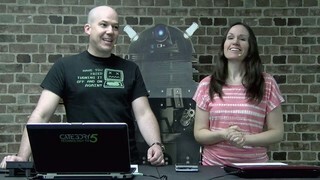 Robbie and Bekah ponder a problem that often plagues novice Linux users: none of my software works! 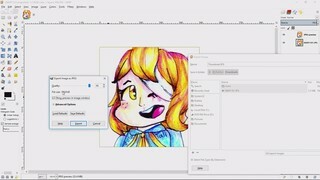 GIMP -- the GNU Image Manipulation Program -- is a free alternative to commercial tools like Photoshop. 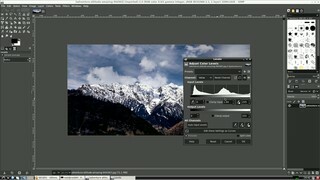 With the release of 2.10.4, it's even more of a professional-grade image editor. 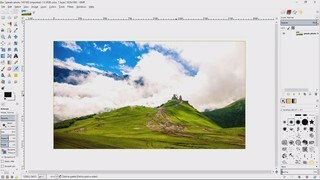 Let's take an initial look at it, how you can get a copy, and see how easy the new image horizon straightening tool is. 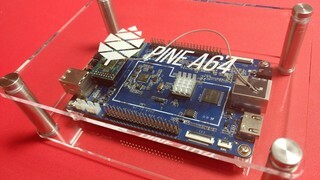 The Pine A64-LTS packs a powerful punch with a low price tag. 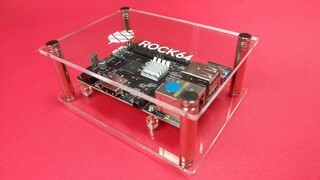 It features an Allwinner “R18” Quad-Core ARM Cortex A53 64-Bit Processor, 2 GB of RAM and Gigabit Ethernet on a board roughly twice the size of a Raspberry Pi. It also supports eMMC, and a WiFi upgrade is available. Having seen VR grow from Nintendo's Virtual Boy to a fully immersive, realistic experience, Shizu, Robbie and Sasha discuss some of their experience with VR, and the incredible potential to be used for good purposes. The Marie Kondo Method is an organizational and decluttering technique which we've looked at in the past when it comes to office organization. 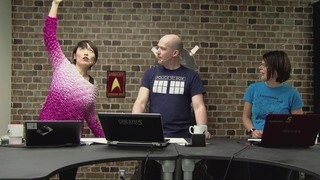 Now, Shizu Yamaguchi joins us again to discuss how she has adapted the mindset and technique to her digital life, making her computer significantly more organized, and even increasing battery life and overall performance. 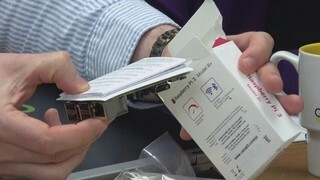 Hearing aids are expensive, require regular doctor visits, and carry a stigma. 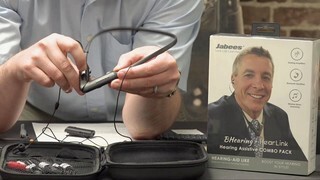 Jabees has done away with all three of these points with a new set of earbuds that feature hearing amplification, remote sound sending via the included transmitter module, Bluetooth connectivity for music and phone calls, and more. Let's get a quick look at this up and coming product from Jabees. We've looked at e-paper tablets that are ideal for those one-off notes. 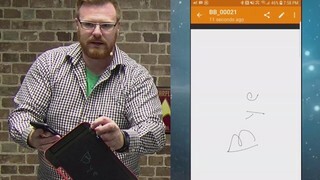 But what if you need your e-paper tablet to save your notes or drawings? That's where the Boogie Board Sync comes in. 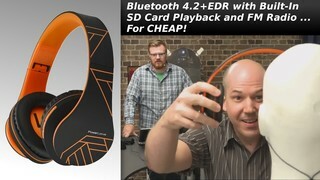 We'll take a look at how it uses Bluetooth to send PDF files directly to your phone, and more! We reviewed a PTZ camera a couple weeks back, and now we've found a readily-available Power-Over-Ethernet adapter that works perfectly with it. 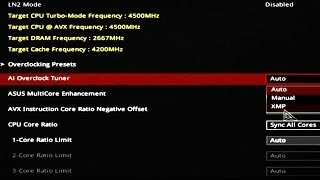 Unhappy with the WiFi performance on a Raspberry Pi for watching YouTube videos? Or perhaps the Amazon Fire TV Stick's lack of connectivity drives you nuts? The Qintex R33 Android TV Stick solves both these shortcomings with exceptional WiFi (2.4 and 5GHz bands), Bluetooth 4.1 and both USB 3 and USB 2 ports. 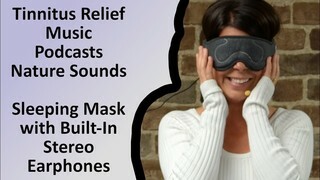 Whether you need a better night's rest, relief from tinnitus, or just wish to enjoy your favorite podcast in peace while flying (assuming you're not the pilot), this sleeping mask will comfortably shield your eyes from movement and light, while providing excellent sound from the built-in stereo earphones. 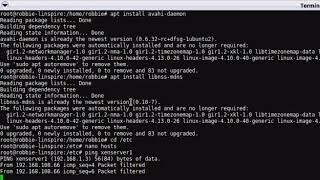 NEMS Linux is a free enterprise monitoring distro with Nagios at its core. 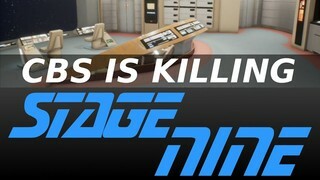 Version 1.4 is coming soon, and Robbie's been hard at it during his "free time" - and he's really excited! 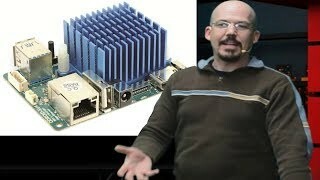 Hear what he has to say about the coming distro for Raspberry Pi and other SBCs. Have you ever needed to send someone a password or other confidential information by electronic means? Sure you have. We all have. But what happens to that info? If they delete the email, it goes to their trash... but still exists. 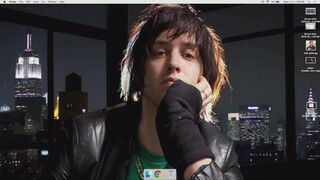 If you send it on Facebook, well, who knows how many people now have it. 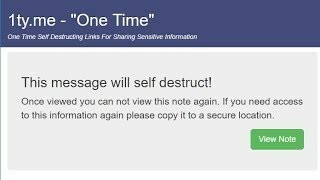 So 1TY.ME turns us all into Maxwell Smart or Inspector Gadget - it's our handy tool for self-destructing messages: once the intended recipient reads the message, it is gone forever. We typically expect a metal body PTZ camera with ONVIF, built-in WiFi and Ethernet to cost around $1,200 or more. So when we found one for just $200 we needed to see if it was legit! What makes an LCD writing tablet a viable alternative to paper? Let's test a couple of $15-20 options and see if they stack up. 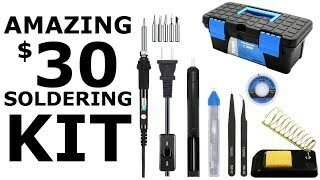 It's only a few bucks more than an "el cheapo" soldering iron alone, yet this kit includes a temperature-adjustable ceramic core soldering iron with 6 tips, solder sucker, desoldering wire, 8mm 2% rosin core electronics solder, anti-static tweezers, a flimsy-but-adequate stand, and a small toolbox to keep it all in. For $30 this truly is a great deal for the beginner maker. As we begin learning how to create basic Arduino projects, we'll start with the ~$3 Digispark board and a very basic project to test our success: turning on and off an LED light automatically every second. 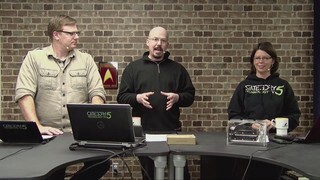 This is a fun way to learn basic controller-based project creation at any age, or a fun way to teach kids the basics. Age doesn't matter: OhBot makes learning to code FUN! Teach OhBot to responds with simulated emotion. Give him a personality, let him tell a story, or teach him to search Wikipedia for you and tell you what he learns. 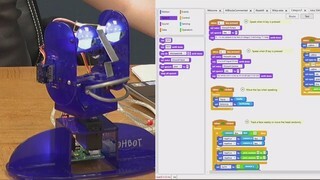 Take a look at the newest STEM Education robot that interacts with you, and can be programmed to do any number of things. 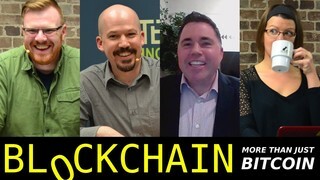 Blockchain - It's More Than Just Bitcoin! Founder of eXeBlock, Jonathan Bahai joins us to discuss the Blockchain and what it can be used for other than cryptocurrency. An overview of how the Blockchain works that simplifies a very complex system. If you mine Monero, Aeon, Sumokoin, Turtlecoin, Stellite, GRAFT, Haven Protocol, IPBC or other Cryptonight cryptocurrency, you need to upgrade your miner, blockchain daemon and wallet software immediately due to an anti-ASIC Proof of Work algorithm update. Build your own retro gaming console with support for Atari 2600, Nintendo Entertainment System, Super Nintendo, Nintendo 64, Sega Genesis and more! With the Raspberry Pi 3 Model B+, a controller or two (supports PS3 wireless controller) and this case, you'll have a retro gaming system that will become a conversation piece with all your friends who grew up in the 80s! It's 2018, and retro gaming has come a long way (haha!) 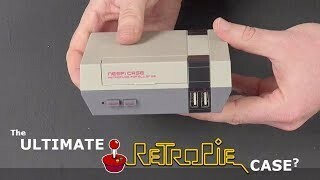 Now with the release of RetroPie 4.4 and the Raspberry Pi 3 Model B+, it's time to build our dream retro gaming console that looks just like what you'd expect a NES Mini to look like, but includes emulation for not just Nintendo, but also Sega Genesis, Sony PlayStation, Atari, and more! 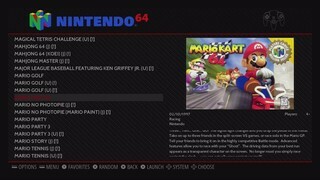 In particular, we want to know if it can handle Mario Kart 64. 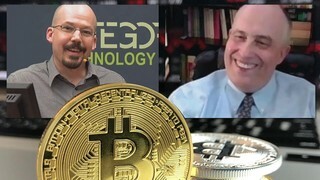 In this interview with crypto-financial expert Robert Koenig, we'll make sense of a very deep topic: what is the blockchain, how do cryptocurrencies like Bitcoin, Litecoin, Ethereum and Monero work, and what we can do to protect our cryptocurrency. An excellent crash course for users new to crypto, or a helpful resource for experienced traders. It has built-in adjustable light, 1-600x zoom, 1080p recording, a 4.3" LCD screen and a solid-built adjustable aluminum stand--all for under $100 USD. This microscope is INSANE! 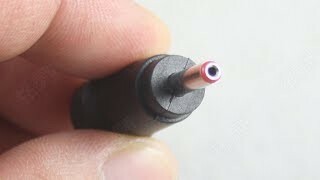 Perfect for soldering tiny components or exploring the world of the microscopic. World Backup Day 2018 - Where Are Your Files? 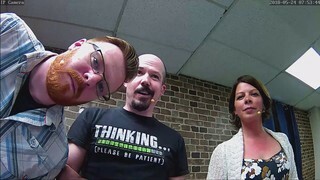 It's World Backup Day, and Robbie and Sasha want to help you with your backup practices by posing a few simple rhetorical questions. What you learn just may save your files! 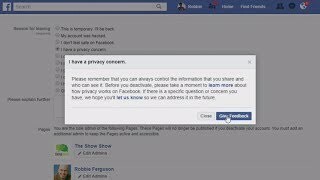 Should You Delete Your Facebook Account? And How? It's no surprise that Facebook collects, aggregates and shares our personal information, but by using their service we have authorized them to do so. We are not the customer: We are the product. The question is heavy on people's minds following the revelations surrounding Cambridge Analytica: Should you delete your Facebook account? And if so, how do you do it? 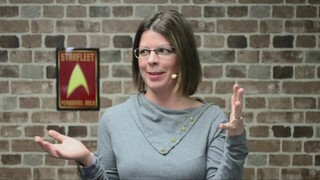 We'll talk about what data Facebook actually has, and if desired, how to delete your account. Our brand new Raspberry Pi 3 B+ arrived today, so let's tear apart the packaging and see how it looks! Will it fit in our original Pi 3 case? How does it stack up as far as the specs go? 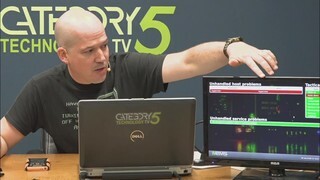 Just a quick look: More detailed benchmarks and demonstrations to come. Smartgurlz is a brand new line of Fashion Dolls and friendly balancing Scooters that engage girls 5 and up in Science, Technology, Engineering and Math. Let's put it to the test and see if Jeff's daughter gets excited about STEM. We've all heard the buzzwords. Bitcoin. Cryptocurrency. Blockchain. Mining. But what does it mean? How hard or expensive is it to get involved, and is it illegal? We'll answer some common beginner questions surrounding cryptocoin. It may not be as complicated as you believe! 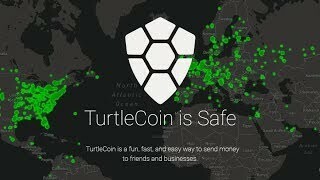 In order to mine or trade Turtlecoin, or to catch Turtlecoin in a Turtle Raindance, you need a wallet address. The team at Cat5 will walk you through all the steps to get up and going on Linux - but keep in mind on Windows you don't have to go through the onerous install process, but can still use the same commands to run simplewallet and create your Turtlecoin wallet in the command line. 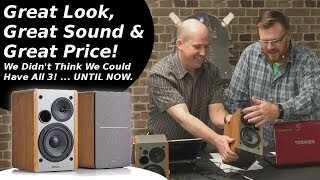 Our biggest fans have spoken, and we're listening! 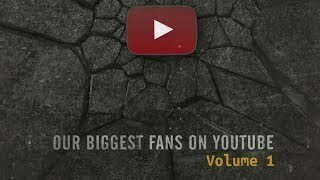 Let's get a quick look at some of the comments we've received from our biggest fans on YouTube! Mining cryptocurrency with consumer CPU and GPU hardware can be complicated to setup. Our crack team of genius developers have simplified the process and created a free mining installer that gets you up and going with xmrig on Windows or Linux and supports Category5 out of the box, but can also be used to mine to your own wallet. 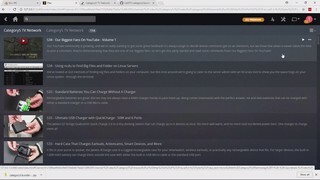 Mines Monero and Turtlecoin at the time of this recording (check the site for current list). A lot has changed since we showed you how to setup Plex on a Raspberry Pi 3 back in 2016. 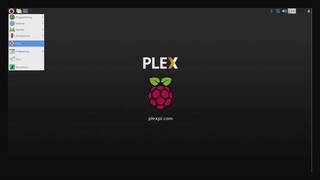 Back then, it was Raspbian Jessie, but now, we'll show you how to setup Plex Media Server using Raspbian Stretch, the current version of the Pi OS in 2018. To ice the cake, we've even create a PlexPi image so you can get up and running instantly (and without having to do it yourself). Let's take a quick look at what htop shows for a Raspberry Pi 3 vs an ODROID XU4Q as we prepare to do some side-by-side testing of these two single board computers. 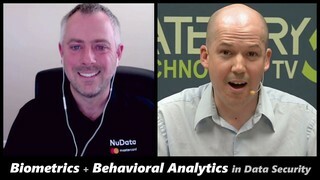 Don Duncan, security engineer at NuData Security joins us to discuss how Open Banking is making its way to the Canadian banking industry. We'll discuss what the API brings to consumers in Canada and across the border, and what types of new security and being put in place to protect the currency we entrust to the banks. 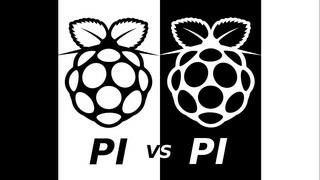 Side-by-side, which is bigger: The Raspberry Pi 3 or the ODROID XU4Q? 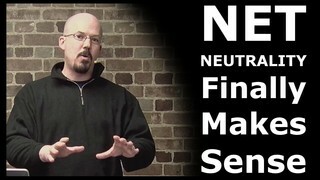 When a viewer asked about ISP-provided QOS vs Net Neutrality, it opened up an interesting opportunity for Robbie Ferguson to provide a description of Net Neutrality that makes sense even if you don't understand the technical stuff. 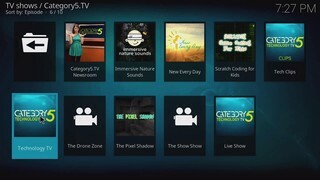 The bugs have been squashed and the Category5 TV Network is now available on Kodi! 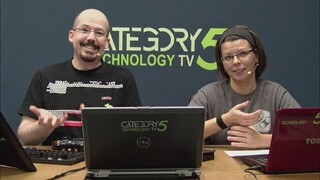 Watch Category5 Technology TV, New Every Day, The Category5.TV Newsroom, The Pixel Shadow, Scratch Coding For Kids, and MORE absolutely free. Social media have restrictions on things like dimensions, filesize, and aspect ratio. Using the free GNU Image Manipulation Program, we'll learn to create a perfectly square avatar, scale it down to the right size, and compress the file to a JPG for use on our profile. 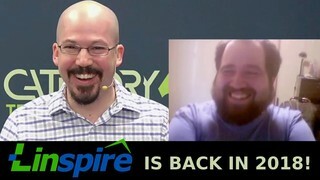 A viewer question lead Robbie to discuss avahi-daemon (ability for Linux to respond to local hostnames) and libnss-mdns (ability for Linux to understand local hostnames), and the hosts file (Windows and Linux "hacky" way of forcing hostnames to resolve even if DNS doesn't work). Our Biggest Fans On YouTube are always the first to comment when we release new videos! Once again this week, we highlight some of the best. 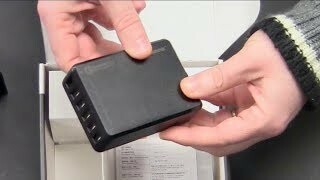 On Episode 515 we looked at a great little 1080p video player that plays videos from SD cards or USB drives, without output over HDMI, Optical or even old analog RCA. 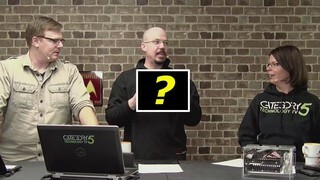 We wanted to answer the questions submitted on that video, so here is our first followup response. Whether you're shooting interviews or a homebrew feature film, sometimes it's challenging and expensive to mic your subjects. In this short video we'll show you a "life hack" worthy solution to the dilemma with a sub-$5 mic solution that uses your existing smartphone to record great audio. 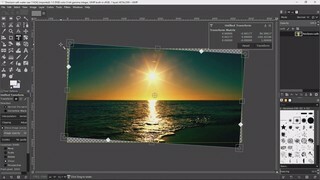 The GNU Image Manipulation Program is a mature image editor that is absolutely free. Let's dive into the very basics: how to rotate, scale, crop and save images. 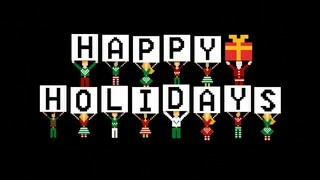 The cast and crew of Category5 would like to wish you all a very Merry Christmas and a happy new year! 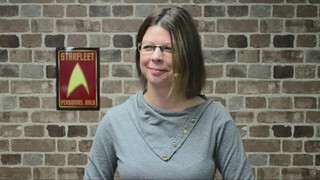 Our YouTube community is growing, and we're really starting to get some great feedback! It's always tough to decide whose comments get on-air mentions, but we know that when a viewer takes the time to post a comment, they're demonstrating that they are one of our biggest fans. 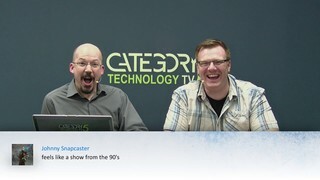 So let's get this party started and read some comments from Our Biggest Fans On YouTube! 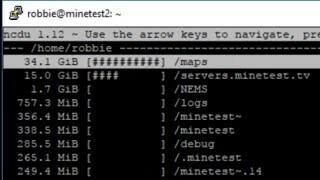 We've looked at GUI methods of finding big files and folders on your computer, but this time around we're going to cater to the server admin with an NCurses tool to show you the space hogs on your Linux system - through the terminal. Rechargeable batteries are great. 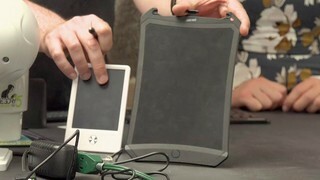 But we may not always have a NiMH charger handy to juice them up. 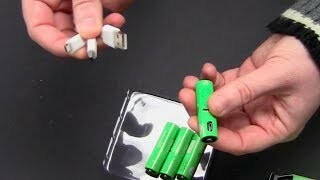 Along comes Smartoools with the perfect answer: AA and AAA batteries that can be charged with either a standard charger or a USB Micro cable. 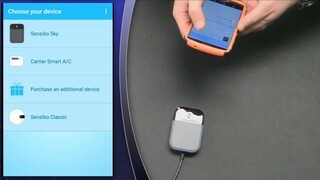 The Jabees Q7 brings Qualcomm Quick Charge 2.0 to a tiny docking station that can charge up to 6 devices at once. 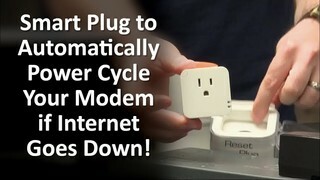 No more wall warts, and no more over-burdened power bars. One charger to charge them all. It fits in your purse or pocket, the Jabees 4Charge case is a rugged rechargeable case for your smartwatch, wireless earbuds, or practically any rechargeable device that fits. 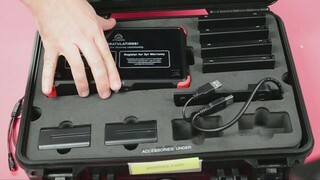 For larger devices, the built-in 1,000 mAH battery can charge them outside the case with either the built-in USB Micro cable or the standard USB port. Whether you're a podcaster, YouTuber, or just want to make your home movies sound great, Auphonic is our go-to tool. 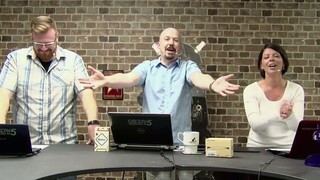 We'll show you how to use it, and for Linux users we'll even show you how to make it work on Linux. 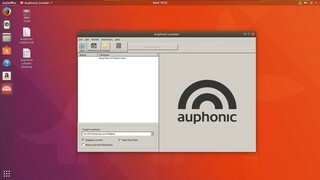 Auphonic therefore runs on Windows, Mac and Linux. The evolution of the earbud has arrived, and there are finally truly wireless Bluetooth 4.1 earbuds that WORK! 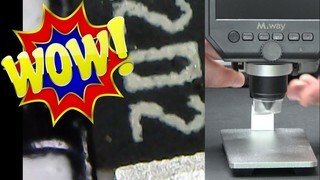 The BTwins are definitely the ones you want if you're big on fidelity, but the Shield also provides a budget version. 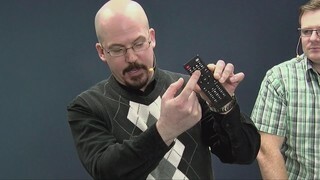 Do you have an air conditioner that uses a remote control? Now you can upgrade it to a smart air conditioner with a device that replaces your remote and gives you access to your A/C with a mobile app, complete with scheduling, thermals, and control from anywhere in the world. 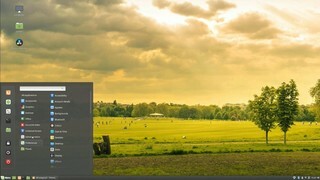 Sensibo has done it again with their new Sensibo Sky device and app. 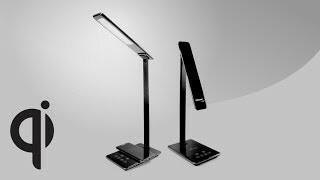 The Jabees Q9 Desk Lamp packs some bonus tech features that we don't see in a lot of desk lamps of this sleek form factor. From user-selectable light frequency to auto power-off and even Qi Wireless Charging, this is an exceptional lamp for your desk or even home studio. This affordable and durable foot pedal is great for musicians! But as it's really just a 6-key Bluetooth keyboard, you can use it for pretty much anything you can think up. 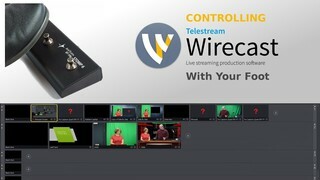 In our demonstration, we'll turn the Airturn Stomp 6 Bluetooth foot pedal into a camera controller for Telestream Wirecast. 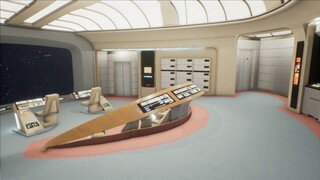 There's no better way to wrap up Sasha's gaming rig series than by taking a virtual reality tour of the starship Enterprise NCC-1701-D! Even with the graphics settings turned to EPIC mode and in full resolution, the gaming rig performs like a beast. There are a few more things we have to do before we can start gaming on Sasha`s new gaming rig, and this week we set out to accomplish most of them. From installing the Kingston HyperX Savage SSD to activating the AI overclocking functions of this sweet ROG motherboard and setting our boot order, and finally installing Ubuntu GamePack. 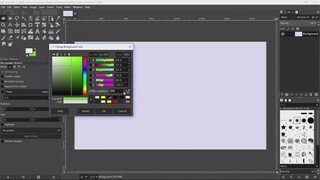 All that`s left to do is install our nVIDIA drivers and play games until our eyes bleed. 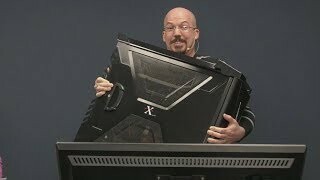 It's finally time to connect all the power cables, chassis components like front-panel USB and audio, and run the ultimate test: Will Sasha's new gaming rig light up, or BLOW UP? 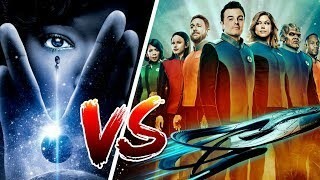 As a die-hard Star Trek fan, Robbie is surprised by what he's seeing on fall TV 2017... between the new Star Trek and an apparent Star Trek spoof, which comes across as the most like Star Trek: The Next Generation? 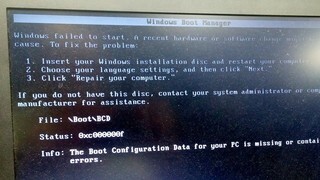 Windows 10 Update DESTROYS BOOTLOADER On Robbie's Laptop! Rescatux Linux Saves The Day. 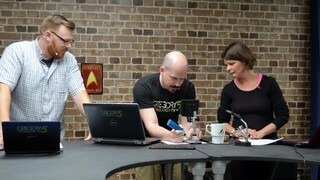 This week, Sasha installs the motherboard, RAM, and with Robbie's help, the CPU cooler. We're getting really close to a complete build!